The One Tam Bioblitz Season is off to a Winning Start! The San Francisco and Los Angeles rivalry has transcended the baseball diamond and entered a new arena- community science! 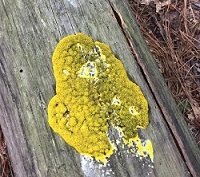 On April 28, One Tam staff, partners, and community members joined forces to attempt to photograph and identify the most species of local flora and fauna as part of an international bioblitz competition, the City Nature Challenge. But instead of humbly staying on the international scale, this friendly contest has become a yearly state-wide race to the top! This iNaturalist competition between the California Academy of Sciences and the Los Angeles County Museum of Natural History first began in 2016. Los Angeles claimed the title the first year with Houston winning in 2017. To help the Bay Area pull ahead this year, One Tam jumped into the ring! To maximize observations and community participation, One Tam held two concurrent community bioblitzes during the City Nature Challenge weekend. 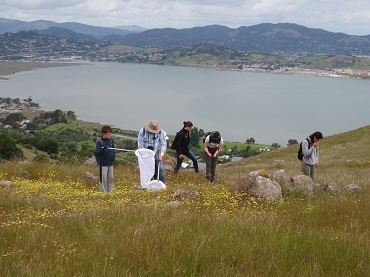 At Lake Lagunitas with the Marin Municipal Water District, participants had the option of exploring and recording observations on their own or joining family-friendly guided excursions with taxonomic specialists throughout the day. Some highlights from Lake Lagunitas included the dog vomit slime mold, a juvenile California king snake, and broad-leaved stonecrop. Across the county, a second crew of naturalists were getting to work at Ring Mountain. With Marin County Parks Open Space District and special guests, including entomologist Liam O’Brien, California Academy of Sciences Staff, and journalists from Sonoma’s National Public Radio station, folks were able to document 154 species! 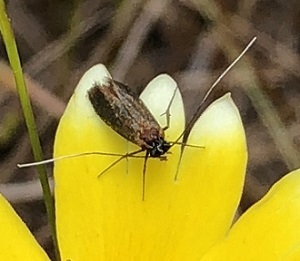 In addition to serpentine-loving wildflowers carpeting the hillsides, they saw several species of lichen, snakes, and a uncommon type of fairy longhorn moth. And the results of these trail-blazing community efforts? The San Francisco Bay Area won in a tremendous victory for community science, topping out with 41,737 observations, 3,111 species, and 1,532 participants! The quest for nature knowledge is never ending, so if you missed your chance to join our past bioblitzes, fret no more! 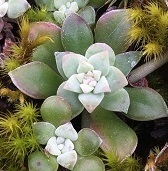 Join us for our last bioblitz event on Saturday, June 9 at San Geronimo Ridge to record your own discoveries and hear from local experts on serpentine-associated plants and their pollinators! For local coverage of this event, check out this video! Nets, detectors, and microphones, oh my! It’s bat research season! 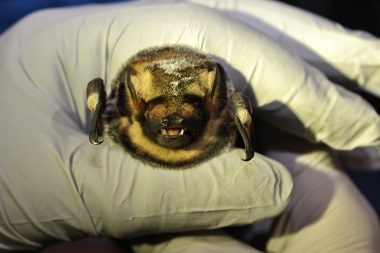 The US Geological Survey Western Ecological Research Center and One Tam park partners are embarking on their second year of the Bat Inventory & Monitoring Project in Marin county. This project began in response to the limited existing amount of knowledge about our local bat species distributions, their populations, health status, roosting sites, and disease contraction. Gaining more information about our local bats will help inform guidelines around habitat management for these winged creatures, as well as feed into the large-scale North American Bat Monitoring Program, enabling researchers to investigate country wide status and trends. Last year’s research provided baseline data about species composition and foraging habitats. The study found 13 species that the biologists expected to find in the region, with some sites recording the calls of 7 or 8 distinct species. Researchers were interested to find that bats were also detected flying in habitats that are not traditionally considered particularly favorable. Research crews setting up misting nets to catch bats in flight. 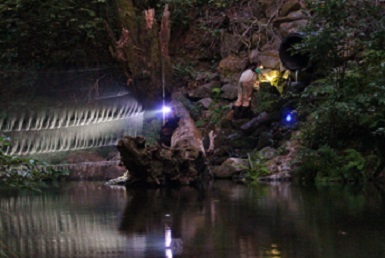 With this year’s research, the Bat Inventory & Monitoring Project team hopes to expand the geographic scope of their acoustic monitoring efforts and further examine bat diversity and distribution across Marin County. Identifying and describing roosting sites and screening bats for “White Nose Syndrome” (a deadly fungus yet to reach California) are also priorities for this year. 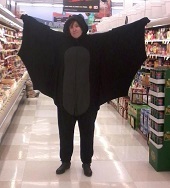 New to the research efforts this year is Katie Smith, a Bat Monitor Technician. 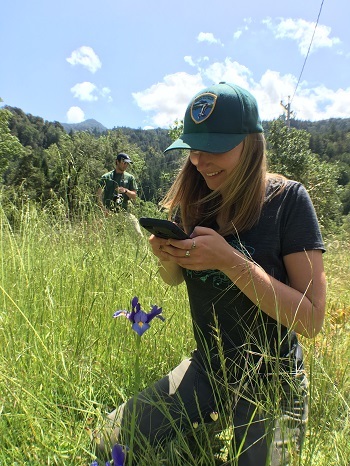 Before joining the Bat Monitoring Project, Katie worked as a field technician and instructional assistant for De Anza College's Wildlife Science Technician Program, and conducted corridor ecology research and education as part of De Anza’s long-term wildlife movement study in Coyote Valley. We are excited to welcome her to our team, please say hello when you see her on the mountain! Katie Smith, Bat Monitoring Technician, joins the team! Were you forwarded this email but would like to get this quarterly newsletter sent to you directly? Join us for a 5.8-mile loop hike from West Peak while enjoying beautiful vistas on a journey through various habitats along the way including mixed forest of chaparral, hardwood and Douglas fir and grasslands. New One Tam Program Director! Help us welcome Janet Klein to the One Tam team as Director of Community Conservation Programs! This position represents an important milestone for One Tam, as it formalizes a managerial role within the Golden Gate National Parks Conservancy to both manage the One Tam community science, conservation management, resource stewardship, and data systems; and serve the One Tam partners in an ongoing capacity. Janet brings vast experience and leadership to One Tam’s conservation and stewardship programs. As you may know, Janet worked at MMWD for over 17 years, first as the Vegetation Ecologist, and later as the Natural Resource Program Manager. Janet also helped pioneer the Conservancy’s Park Stewardship program as one of the first Park Stewards to catalyze community participation in caring for endangered Mission Blue butterfly habitat during the early 1990s. 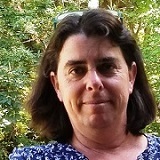 She comes to One Tam with 25 years of experience developing and implementing conservation programs and partnerships in Marin County. Her unique skillset and vast experience made her an ideal choice. LINC on Tam is Gearing up! On June 18, 20 local high school students will embark on six weeks of service learning, team building, and skill development on and around Mount Tamalpais! Linking Individuals to thier Natural Community (LINC) is an opportunity for students to assist with service projects, gain career and leadership skills, and take field trips to special park sites. In addition, students will get the opportunity to learn more about the ecology and science of local habitats. LINC students exploring in the field! Highlights for this year's LINC on Tam includes a boat ride to Kent and Aramburu Island, a visit to the Museum of American Indians, and an adventure through a ropes course! Here's to a great LINC Summer! 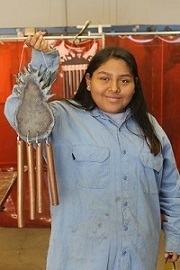 A LINC student shows off her welding skills! One Tam is leading the call to begin a detailed vegetation mapping and landscape database project of Marin County’s protected open space. This project will combine digital aerial photos and three-dimensional landscape imagery to produce a highly detailed map of local terrain. Using this comprehensive data, land management and county officials hope identify important ecosystems and resources, see how they change over time, and create informed management for the future. 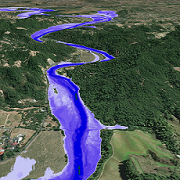 LiDAR(high resolution photo imaging) can be used to create detailed flood maps like this one for Marin County.